Who doesn’t enjoy a spot of baking on a lazy Sunday afternoon and here’s a fun way to pass the time whilst being proactive for your Wedding day by making DIY Wedding favours! I can personally vouch for edible Wedding favours being popular with guests, it is great to have something sweet to keep energy up on the dancefloor. Cookie Kings – The Biscuiteers – have recently released Cutter Kits of their most popular designs so you can pop your pinny on and get creative with DIY Wedding favours. Each of the kits contains 8 themed cutters with the special Wedding kit including a variety of hearts, a dove, Wedding dress, bell, Wedding cake and bridal shoe plus an icing guide and apron. Making these favour biscuits would be a fun way to include kids and family in your Wedding preparations as they are pretty much foolproof. Letting kids go wild with the icing drawing patterns or your guest names would add a really personal touch. Whereas getting your girls together with some bubbly to air your Wedding planning frustrations whilst kneading dough would be the perfect way to relieve tension! 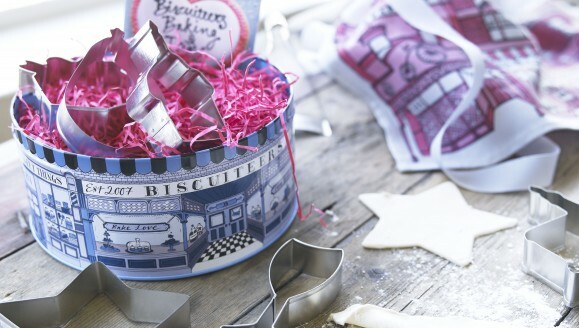 Head to www.biscuiteers.com to see all the Cutter Kits on offer and their other Biscuit goodies of course. Get making your DIY Wedding favours now.